Birding this wild property is particularly rewarding if you invest time and energy in hiking or biking its extensive uplands. This property is large and wild, so be sure to pick up a map ahead of time or at the kiosks, and take water along on your hike. The East Trailhead is accessed by taking Blake Lee Trail north from State Road 46. 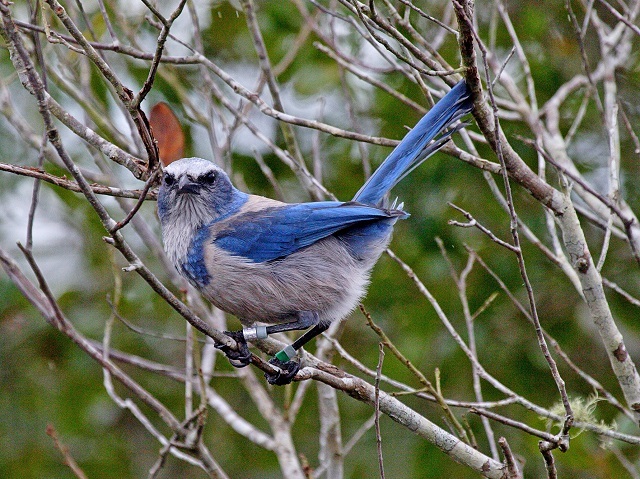 Hike the yellow blaze trail and look for Florida Scrub-Jays, although they will probably find you first! Northern Bobwhite, Wild Turkey, American Kestrel, Loggerhead Shrike, White-eyed Vireo, Red-headed and Hairy Woodpeckers can also be found on this trail. Keep an eye out for Gopher Tortoises too! If you wish to hike or bike further, head to the Red and White Blaze trails, which are located over a mile north of the Yellow Blaze trail. Seasonal hunting occurs in this area, please click here for dates, regulations and more information.